If you picked up Thor: TMA #3 this week, these two might look familiar. 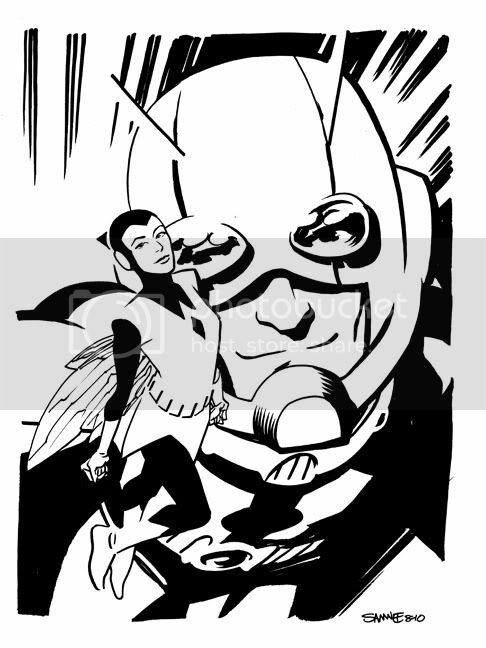 I fell in love with Wasp and Ant-Man while drawing this issue and I hope this isn't the last I get to do with them in this incarnation. Below are my initial design sketches for these two lovebirds. There is a very 60's /Emma Peel influence for my design of Janet. The non-costume outfit she wears in the book is derived from my first attempt at her costume (on the left). The sketches above were my last failed attempt (all other attempts went out with the recycling) for Ant-Man. After looking at it, I decided this costume was a bit too complex. I really wanted both Hank and Janet to have very retro, simple and sleek costumes. 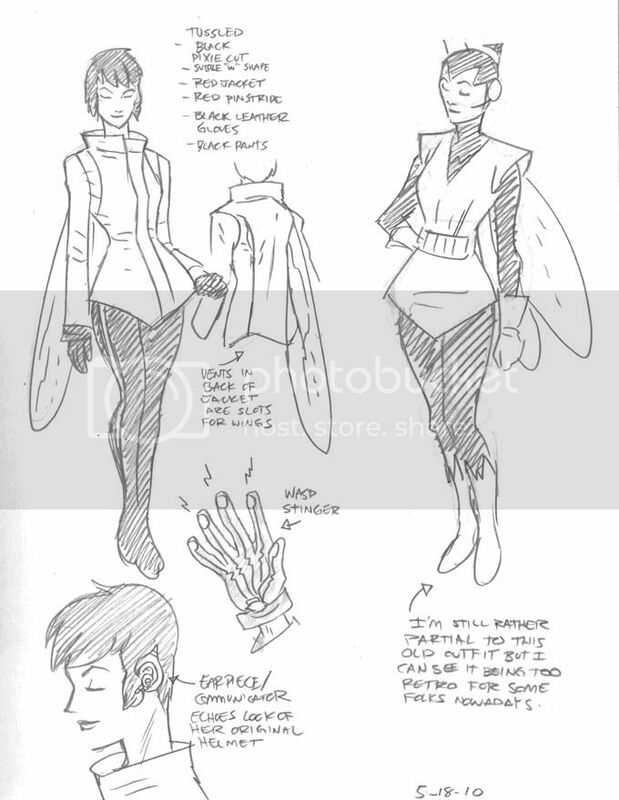 This is the design sheet I actually sent to Roger and Nate. At this point, all I had seen for the book was an outline. 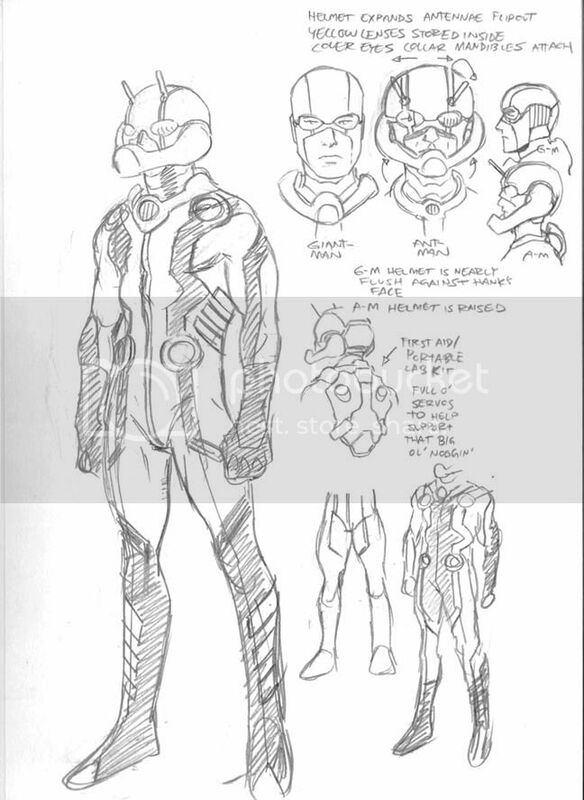 Once I got the script, these designs no longer felt appropriate for the story. So I put him in a modified version of his 60's costume, trying to play up the sci-fi feel to it. Hope you guys are enjoying my take on some of these classic Marvel characters. And a big THANK YOU again to everyone who has been supporting the book by buying it, tweeting about it and talking it up on blogs, forums & podcasts. I appreciate it so much! love it love your work! You're doing a great job on the book; I loved the look you came up with in the end for Henry and Janet's costumes. Fascinating stuff, Chris. Thanks for sharing these clever costume tweaks. Thor: TMA is the first read in my pile each time it comes out. Loving Thor:TMA like a fat kid loves cake! Always love seeing behind the scenes stuff.Keep up the great work! Very slick! You've sold me on the series, Chris! Have really been enjoying the Thor book--It looks great! 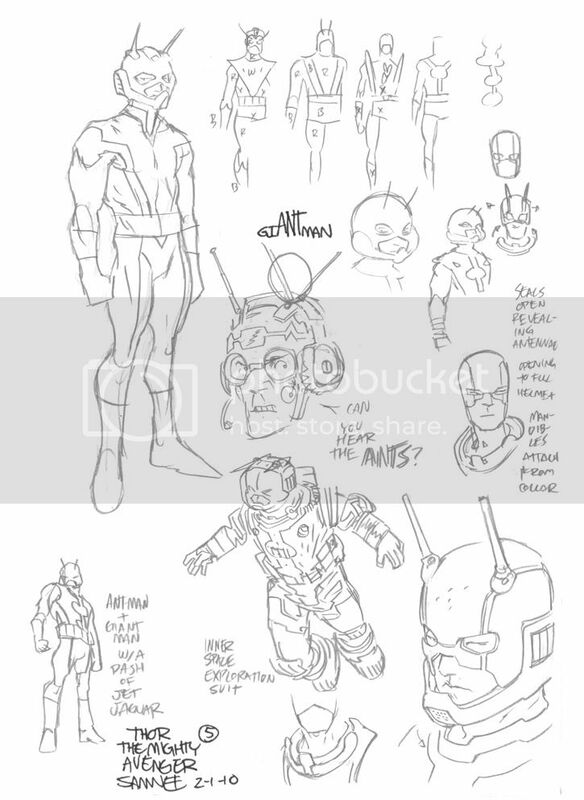 Wanted to also say that I really like these Ant-man concept pages- someone should get these in front of Edgar Wright!